‪#‎SumSOL2015‬ - Been writing, wRite-ing as fast as I can. The highlight of my Summer has been touching ground in the state of my Ancestors maternal and paternal - Louisiana. My experience has been filled with Community-Arts building immersions, Spiritual boot camps, all-night research sessions and 24-hour sewing projects. Currently my sojourn bends round to its anchor leg with 92% of seasonal support towards #Dancestory2015, ever so grateful and forging ahead. -- #RiteOn. Special Summer highlights of my experience involved forwarding the mission of Congo SQ West Kinship Society commemorating its 10th year "...of good works and prosperity." dynamic collective of New Orleans African-Ancestored Artists of #RhythmicAlchemy ‬ via Nfungotah, Inc. A monumental undertaking giving rize and revival to the Spirit of Arts mediumships surpassing media-frenzied stigmas and setting historical benchmarks like Congo Square at midnite! 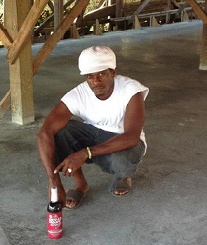 Key organizer and Artist Visionary, was our very own Tyrone "Brotha T" Henry of New Orleans, also Bissap Breeze Co-owner and Founder of Nfungotah now recognized as Nfungotah, Inc.
Sunday Soul sessions began with a visit to the #Water shrine commissioned by #Rhythmic Alchemy; we co-created and installed, a 16 ft African Mermaid more notably called #MamiWata the world over, in paying homage to African Matrilineal Spiritual traditions. The day progressed into a celebratory gathering lead by Elder state folks and Commune+Unity of Congo Square, Dance, Drum, Culture and ‪#Kimble‬ kinship; A 4-direction salute by Coco, Chief of the Houma Indians right in the space where their historical field harvest was celebrated. And in that same spot, we participated in a cleansing ritual and released them worries, woes and festerings to burrrrn -- a'dupe Baba Luther, and Mama Jamilah. WAAAH to the Spiritual Mothers/Leaders of Congo Square and hail up the Paul Guerra Studio/ Summer Artist Residency: work-create-[Wo]manifest *ting*. Thank you to the special collection of Family surnames shared with me of spirit-filled convo-exchanges giving inference to what makes New Orleans special, leading to unique intersections among community kin -- All on a powerful Monday-- Ire'o Golden Feather. Brass Bands, Red Beans and Rice, African collard greens, and last Summer eating Shrimp Po'boys [yeeesh] I truly cherish my sessions of solitude sitting with Mami Mississippi. I'm on the rite track, along with those Elders that blessed me with incantations. Now working to travel to where my Father was born [Summerfield] and where my Grands owned land [West Carroll Parish] -- never been there, yet not too far. If you know anything about Track & Field and I've been a runner for over 17 years of my life, that last leg is EVERYTHING, especially with intentional support. Check in on how much we've gained as I've sprinkled much information upon my platforms on Facebook, Twitter @nzoCALIFA and the #Dancestory2015 link, ongoing since 2013. Ask questions and DO share a good word or three. 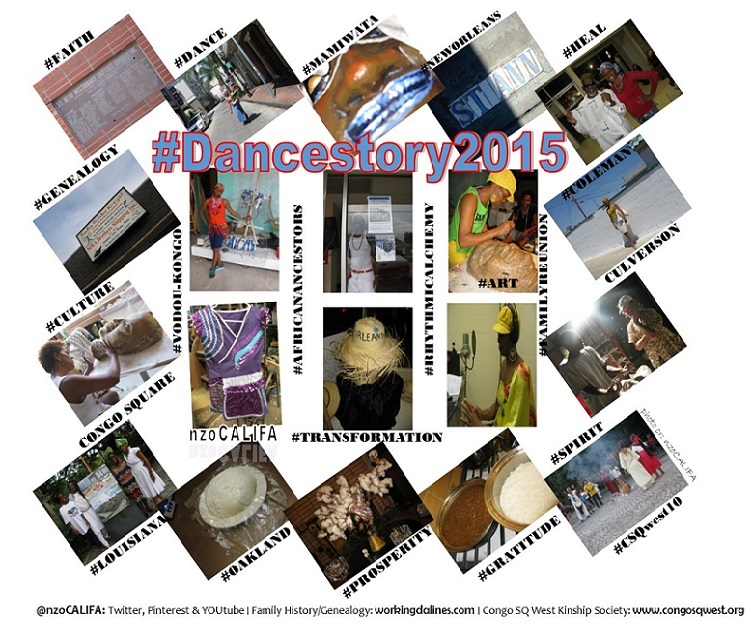 Search hashtags #Dancestory2015 #CSQwest10 or #RhytmicAlchemy and follow the trail of good works in motion. 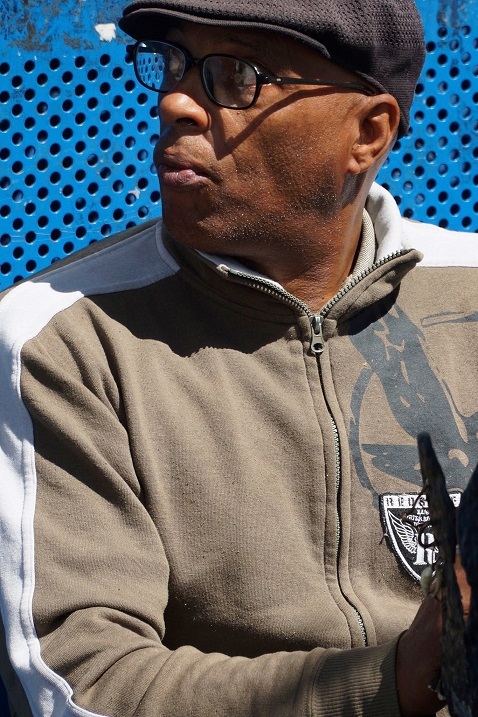 2nd Chief Shaka Zulu of Yellow Pocahontas, Golden Feather Co-owner. Thanking you ALL ahead for the love, faith and support. Walk well and wishing you a Happy Odunde, Egun Season, bountiful Harvest for us all. A deep note of gratitude to the New Orleans African Artist Village, Spiritual Mothers of Congo Square & Rhythmic Alchemy Collective. A special salute to the indomitable works of Colette Pichon Battle and Gulf South Rising 2015. Matondo!!! His eyes have truly seen the glory of Our people the world over. Can you say you were part of the Black Arts Movement? or What do you recall about the infamous Black House? Were you on the scene when the Black Panthers emerged? What critical benchmarks of the Black Cultural Arts explosion can you cite and say that you were a witness to? 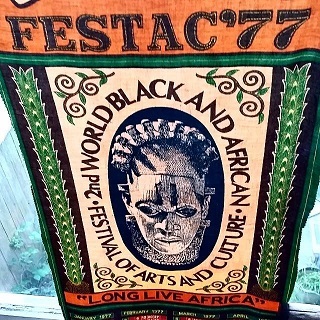 -- or what private African cultural repository do you know holds an extensive archival collection of the largest multi-cultural event ever held on the African continent-- Festac '77?! 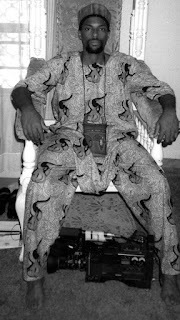 Baba Tumani Onabiyi has, is and lives these genres, brilliantly creating pathways into the horizon of his legacy as his works reflect a legendary International status. Multi-disciplinary Artist, Cultural Historian, legendary Photographer, Drummer, Filmmaker, and a treasured Cultural Griot of our time, are but a few of the Communal stools he is inherently enthroned upon. In my own Dance sojourn, it has been my great fortune to first intersect with Baba Tumani as a Berkeley High school student of my now Dancestor, Paula Mc Cullum. Her 1982 "Congolese Suite" choreography was a tribute to Ta Malonga Casquelourd and Baba Tumani was an accompanist and member of Fua Dia Congo. It was my first time dancing Congolese and to "be thrown into the lion's den" known infamously as "the solo." As both these beloved Dance luminaries, Paula and Ta Malonga have transcended into the Ancestral realm - we remain blazing our own trails respectively still crossing, connecting and creating with purpose. 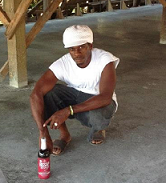 *Visit "Tumani Photo Video" on Facebook and see his extensive Gallery. My Bare Soles, Bare Soul Takes FLIGHT! The Bay Area African Dance scene emerges upon an International arena, garnering nation-wide support and overwhelming praise with growing interest about What African American Women really have to say and share, while participating in discourse about their African Dance experience. As seen through a guided lens, devotee, Multi-disciplinary Artist, Producer and Director Delina Brooks of Delina Dream Productions gives voice to emerging Cultural care-takers, Dance forces, Educators, Teaching Artists and a Lawyer amplifying the voices of countless to be heard and revisiting the wisdom of those before us. #RiteOn We're sure you'll be glued to the screen and moved to want to see and listen to more. Featured Internationally renown African Dance Master Teachers at Oakland's historical cradle place for African Dance - Malonga Casquelourd Center for the Arts, shepherded by Dance dynasty Diamano Coura West African Dance Company. On behalf of Nzo Califa Dance Works, BE in this #Dance with your continued support and watch the "Rough Cut teaser" below.